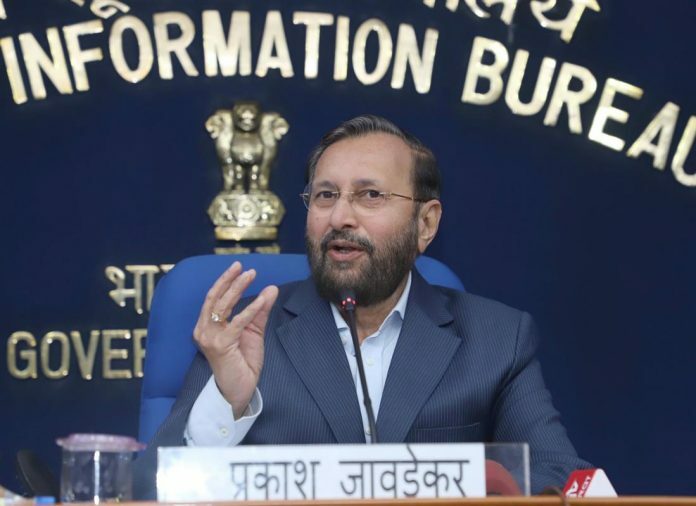 New Delhi: The Minister of Human Resource Development, Shri Prakash Javadekar launched Operation Digital Board to leverage technology in order to boost quality education in the country. Addressing a press conference in New Delhi today, the Minister of Human Resource Development said that Operation Digital Board is a revolutionary step which will make the learning as well as the teaching process interactive and popularize flipped learning as a pedagogical approach. Shri Prakash Javadekar disclosed that the digital board will be introduced all over the country in government and government aided schools from class 9th onwards as well as in higher education institutions. The process will begin from the coming session of 2019 itself, the Minister explained. He further said that ODB aims at converting a class room into a digital class room and in addition to availability of e-resources at any time and at any place to students, it will also help in provisioning of personalised adaptive learning as well as Intelligent Tutoring by exploiting emerging technologies like Machine Learning, Artificial Intelligence & Data Analytics. An expert committee has worked out optimum configuration of the Digital Class Rooms under ODB. The Union Minister said that the biggest challenge facing education sector in the country is maintaining acceptable quality standards across the country. Although we have good number of premier institutions, which compete with the best in the world, a large number of higher education institutions and schools needs improvements in quality teaching-learning, as the students coming out of these institutions find themselves unsuitable for the requirements of the society and market. The spread of educational technology and connectivity has given an opportunity to resolve this issue and aim at equity in educational standards. Shri Javadekar also stated that the launching of e-Pathshala, DIKSHA, NROER,NPTEL, e-pgpathshala SWAYAM and SWAYAM-Prabha DTH Channels etc. 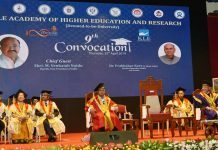 by MHRD have provided adequate content of high quality which can be taken to every classroom, and thereby facilitating blended learning and flip class learning. These pedagogical interventions can adequately raise the standards of teaching, irrespective of the location of the Schools and Colleges/Institutes. Such technology enabled learning can also inspire teachers across the country to raise their own standards of teaching. UGC will be the implementing agency for ODB in HEIs. UGC in its Commission meeting held on 29th Jan 2019, has passed a resolution for extending digital education to every classroom in the country by 2022. It is estimated that there would be 5 lakh classrooms in the institutions which are aided by Centre or State Governments. Out of this, based on the readiness, UGC proposed to take up 300 universities and about 10,000 colleges in the first phase covering 2 lakh classrooms. Such Institutions with readiness to implement would be preferred. For this purpose, UGC will put in place a Portal for all the public funded HEIs to log-in and opt for the scheme giving details of this facility. For the 2 lakh class rooms, the cost is estimated at Rs. 2000 crores. This can be implemented as a Central scheme, as a loan from HEFA. Digital / SMART board will be provided in all Government and Government – aided schools having Secondary and Sr. Secondary classes.